Cardiomyocytes are derived from the whole heart (of a single donor) that has been dissociated into single cells and cultured using differential adhesion. These cells are characterized by immunostaining of cardiac sarcomeric actin, myosin heavy chain and other cardiac markers. 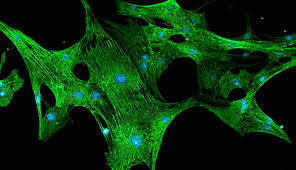 Cardiomyocytes may be used in various in vitro or in vivo studies; transplantation into normal or diseased systems; cardiac toxicology studies; or cardiovascular developmental studies.